A very dear friend of mine used to keep me on my toes with quotes like “il faut reculer pour mieux sauter”. Literally this means that one must draw back in order to make a better jump. Figuratively it could mean that you go back to older ways to get better results. Try reverse to make your horse go forward… be surprised at how much there is to gain. Walk into your feed merchant and marvel at the vast array of horse feeds available. Imagine what was available to your grandparents and great-grandparents. Ask yourself if any of this proliferation has resulted in fewer gastric ulcerations/year, in fewer colics/year, in fewer cases of laminitis/year, in higher speeds at the racecourse, in higher jumps at showjumping… Galloping along in our busy lives, we assume that new is better, that ‘researched’ new is better still. But who is the winner? Is it your horse, is it you or is it follow the money, that catchphrase popularized by the 1976 drama-documentary motion picture All The President’s Men. Sure, you’re a winner in as much that scoops of feed save you time… If horses were the winner, the Royal Veterinary College of Surgeons statistics would show that interventions/year decreased because feed is getting smarter at preventing stuff. That’s not the case. Walk into your supermarket and marvel at the vast array of foods available… again, spoilt for choice and being advertised to, to an inch of your life. When you are not doing well on modern food and present with symptoms, consider reverting back to a simpler diet like a Paleolithic diet. You limit foods that became common when farming emerged about 10,000 years ago i.e. dairy products, grains (wheat, oats, barley), refined sugar, table salt, potatoes and legumes (beans, lentils, peanuts, peas). You include lean grass-fed meat or wild game, fish, fruits, vegetables, nuts and seeds, and oils from fruit and nuts (olive oil or walnut oil). It may be a nightmare diet for vegetarians or vegans but, for health-challenged omnivores, a test period of simplifying food intake can reveal huge benefits. It is a sustainable diet providing the emphasis is not on the meat/fish quantity and, for better results still, add the clever smoothies that we advocate. When you are not doing well on modern food and present with symptoms, you also have the luxury of choice to do or not do Intermittent Fasting. 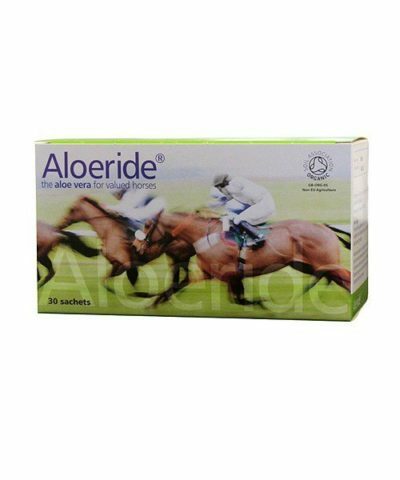 Not so for your horse because its continuous gastric secretion prohibits any fasting. When your horse is not doing well on modern feed, revert back to oats (Avena sativa). Simplify your horse’s diet by abandoning compound, cooked feeds. It is safe to do so, two generations ago this was the norm. Manufacturers of compound feeds unfairly associated oats with excessive excitability, equine rhabdomyolysis syndrome (ERS), colic and laminitis. Such criticism ignores that traditionally oats were fed alongside good quality hay, haylage, grass or alfalfa. Given the array of calmers sold annually, it is a fair observation that compound feeds do not prevent horses going fizzy… nor do compound feeds prevent experiencing colic, nor do compound feeds prevent developing laminitis. As my dear friend would say “plus ça change, plus c’est la même chose” (the more it changes, the more it’s the same thing). 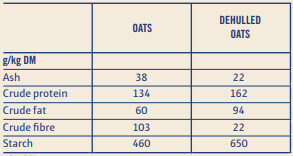 Oats have the highest fibre content and lowest energy of all the grains. Their grains are easy to chew properly thus mixing with saliva well. Sure, compared to compound cooked feeds, the shelf life of oats is not ideal when galloping along in our busy lives (we know, looking after horses is hard work) but, is not your horse worth a trial? 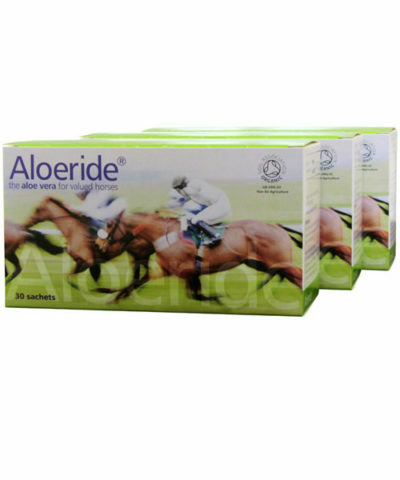 I wrote this article because at Aloeride we receive many questions about horses that struggle with their digestion. During such calls we may discuss the timeline i.e. symptoms, intervention, response, change of feed, supplements and so on. Often one compound feed was swapped for another to little avail. Imagine feed-sensitivity and trigger A being in feed 1 and trigger B being in feed 2. Swapping from feed 1 to 2 would make no apparent difference to your horse. Desensitisation (Allergen-Specific Immunotherapy) is costly and not always successful. Hence the advice ‘Try reverse to make your horse go forward’, take diet back to basics and observe. If there is a clear improvement, then you have it confirmed on a shoestring that there is a food trigger. 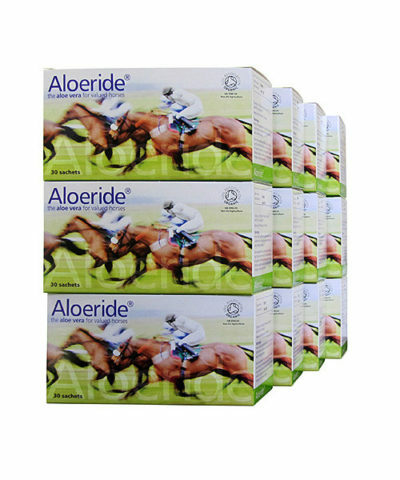 Then a choice is to be made in respect of future feed and – like in human food sensitivity – adding Aloeride provides a very useful digestive support via a wide range of nutrients. Pure oats are considered safe for those with gluten intolerance, a surprising angle perhaps until you hear vets talk about horses with IBS. Raw, whole oats have a 2.3-8.5% beta-glucan content which reduces the risk of Obesity and type 2 Diabetes. Both horses and people can get Insulin Resistance, but horses do not go to the next step of Diabetes 2. As you know, horses do have total carbohydrate load issues (hence low cal, low GI, laminitic and super cool feeds). Beta-glucan increases the excretion of bile acids (good detox) and binds with cholesterol-rich bile acids. 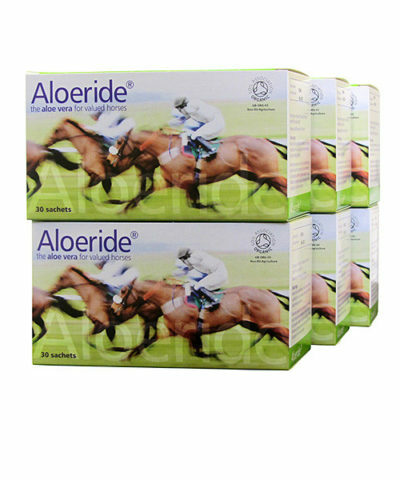 Normally, bile acids are re-absorbed in the digestive system, but beta-glucan inhibits this recycling process thereby seeing bad cholesterol (LDL) out of the horse. Beta-glucan also causes a reduction in blood sugar and insulin levels after a carbohydrate-rich meal (thus less spiking). The major protein in oats is called Avenalin (80%) – not found in any other grain – which is similar to legume proteins, a minor protein (i.e. not much of it) is called Avenin which is related to gluten in wheat. Raw oats are the only dietary source of powerful antioxidants called Avenathramides and these have anti-inflammatory, antioxidant, anti-itch, anti-irritant, and anti-atherogenic activities. Raw oats are high in many vitamins and minerals: Magnesium, Manganese, Phosphorus, Copper, Zinc, Iron, Selenium, Vitamin B1 (thiamine), Vitamin E (total tocols ranged from 19 to 30.3 mg/kg; α-tocotrienol & α-tocopherols combined account for 86 to 91%). In human patients with type 2 Diabetes and severe Insulin Resistance, a 4-week dietary intervention with oatmeal resulted in a 40% reduction in the insulin dosage needed for stabilizing blood sugar levels. When your horse is not doing well on modern feed, why not do a raw oats trial with your horse for 4 weeks with a gradual entry into a (soaked) oats + good quality hay/haylage, grass or alfalfa diet. You may discover that this is one of the ‘old ways’ that may have the edge over ‘new ways’. In a transition from modern feeds to one of oats (with grazing/hay or haylage/Aloeride), you need to remember that scoops give volume i.e. measure litres or quarts. An equine stomach is relatively small – made for ongoing grazing with small amounts going in as small amounts pass to the duodenum – so supplemental meal size should be limited to no more than 4 lbs (1.8 kg) for an 1,100 lbs (500 kg) horse. A horse assumedly going hot on oats may happen for no simpler reason that the scoop feeds more oats than the feedroom scale would issue. As a reasonable starch intake per meal is 1g per 1kg of live weight, a 500g horse should get 0.5kg of starch per meal which equates to 1.1kg of oats (calculating on starch content being some 460g/kg DM = 46% x 1.1kg = 0.5kg of starch). Feeding should mirror workload and not all oats have the same nutritional value. So, as always, observe how your horse responds. Soak whole oats in cold water for approximately 12 hours. A benefit is that dust will be and chemical residue from sprays may be washed away. It may make oats softer but frankly, the huge molars of a horse will masticate unsoaked whole oats perfectly fine (toothless veterans being the exception). During the transition period you may noticed a few oats in your horse’ droppings, but only for about a week. Most of the metabolically active proteins, mostly enzymes, in oats are in the water-soluble albumin fraction. Among the enzymes, presence of proteases, maltase, a-amylase, lichenase, phenoxyacetic acid hydroxylase, phosphatase, tyrosinase, and lipases have been reported (Osborne classification). Some suggest that oats during soaking start to self-digest and, having been ‘pre-digested’ overnight, require fewer digestive enzyme resources from a horse. Well, if you sprinkle an enzyme complex (amylase, protease, lipase) on porridge you will see its consistency change within 15 minutes… porridge goes fluidy/slimy. The surface of oats does not appear surface slimy by overnight self-digestion (i.e. it is softer because of being wetted only). If you must soak oats then drain them overnight or for a good hour prior to feeding. BTW the water in the soaking bin will contain some of the inorganic minerals from the oats. Why soak if not absolutely necessary?!? In light work feed approximately 2lbs – 3lbs of oats twice a day with alfalfa and good hay. In hard work e.g. eventing or racing feed approximately 6lbs – 7lbs of oats twice a day with alfalfa and good hay. As always with any feed, observe how your horse responds. Scientific information on oats: Journal Food Science Technology.